One of the great things about making compost is that it pretty much takes care of making itself. All you really do is pile up weeds and leaves, and wet it down. Everything else is just finding the right container. I love my tumblers, but I pull weeds faster than I empty the tumblers. So bags of weeds tend to stack up and wait. Well, compost doesn’t wait. See this fly perched on the edge of a leaf bag full of weeds? It’s a Soldier fly. Those weeds are good feed for their larvae. Somewhere in that bag they’re probably munching away, reducing the weeds to compost even before I get it into the bin. By the time I transfer the contents into the tumbler, I’ll find a layer of pre-digested black material near the bottom of the bag. A small amount of pre-compost, just the thing to get the next batch of to a good start. 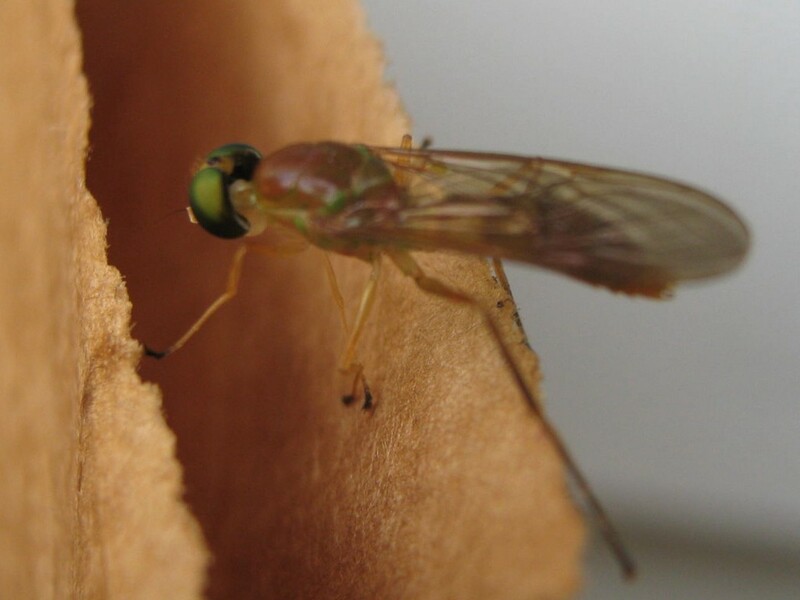 Not only will the compost take car of itself, the Soldier fly will care of it, too. I never seen one of those guys so close up – great photo. Thanks! I was lucky enough to catch it while it rested.